Argonne National Laboratories points out several major problems this regional electricity rebalancing market. First, it is a speculative assumption that all generating sources in the Western U.S. would commit 100 percent of their hydropower and other clean power sources to participation in California’s imbalance market. One of the major reasons cited by Argonne is the “market price risk” of reserving power for a time window of 4:30 to 6:30 pm each day that runs the risk of having to bid at prices that are under the cost to produce the power. Moreover, only about 10 percent of the blocks of electricity offered for market bids by the Southwest Power Administration end up as power actually dispatched. 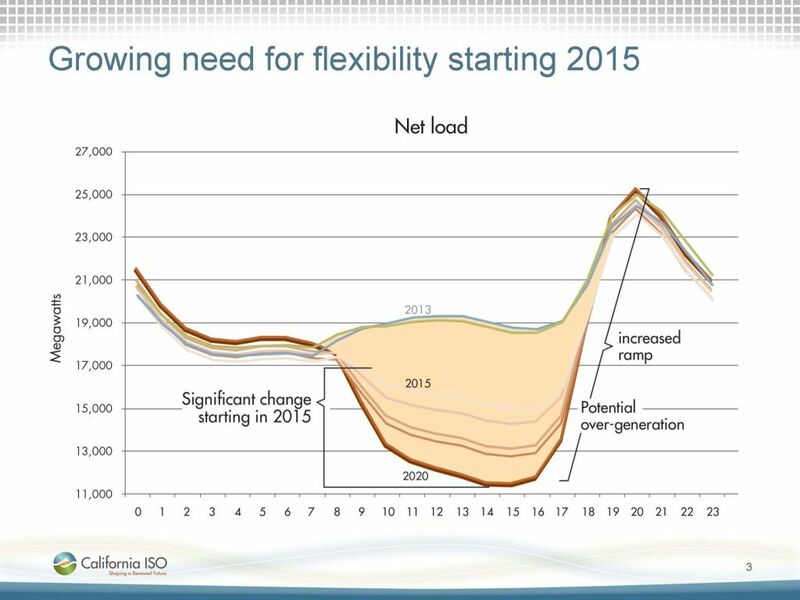 Grid congestion during sunset hours is another problem not addressed in California’s regional balancing market. Limitations on use of federal hydropower due to environmental lawsuits to protect fish also limit the capability to respond to rebalancing market bids. So it’s no wonder the official government studies of imbalancing markets are “benefit-only” studies, not cost-benefit studies (see here, here, and here). In other words, the government isn’t sure what the ultimate costs will be, something that any normal private business would do as a matter of course. According to a report prepared for the American Public Power Association and the National Rural Electric Cooperative Association, cost savings from the imbalancing markets are estimated to be from $146 million to $294 million per year. However, this only reflects 0.72 percent to 1.36 percent of total regional electric production costs. Worse, if both the Western Area Power Administration and the Bonneville Power Administration, which run federal hydroelectric power plants, do not join California’s imbalance market, the cost savings would be even punier. The American Public Power Association says the costs of an imbalancing market could run $1.25 billion, or $3.50 per megawatt hour, over the first 10 years of operation. More worrisome for the APPA is that an imbalancing market would morph into a redundant grid-regulating bureaucracy called a Regional Transmission Organization. Because an imbalancing market would operate regionally over the entire Western U.S., there would be what is called cost shifting. This is where electric generation paid for by customers in one region (likely Utah, Arizona, Oregon, Wyoming, or Idaho) would be dispatched to benefit other customers (in San Francisco or Los Angeles). California would duck its energy price-spike during sunset hours of each day by an indirect subsidy of cheaper, imported hydropower portrayed as a rebalancing market. California’s “energy imbalancing market” is a plan mainly to use cheap federal hydropower from the Bonneville and Western power administrations — and Warren Buffet’s Pacificorp’s portfolio of dams, power plants, and wind farms — to bail out California’s green-power grid from a design defect in its green-power plan. 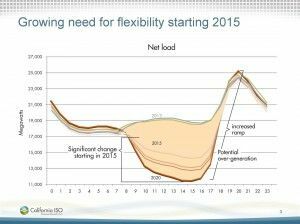 Ironically, green power would make California more dependent on imported power at critical peak ramping times. Well now it’s clearer. What it boils down to, is that people in other states are going to bail out California. Jeesh! The (not me) idiots in this state voted for all of this – it seems criminal to expect other states to come to our rescue. In a sane world, those responsible for this would be long gone. Never will happen. The good news is that markets are saving high cost green power. The bad news is that without high cost green power the markets wouldn’t have had to bail out California for 2 out of 12 hours of the daytime each day. Which raises the question, why didn’t we just expand cheap, non-polluting hydropower in the first place? Good question, but we already know the answer. The enviro-whackos would never, ever allow any more dams. And you know that even though they don’t have any legal authority to deny anything, in this state (and others), they effectively do. Root cause, there’s little common sense in the “unwashed” electorate any more.